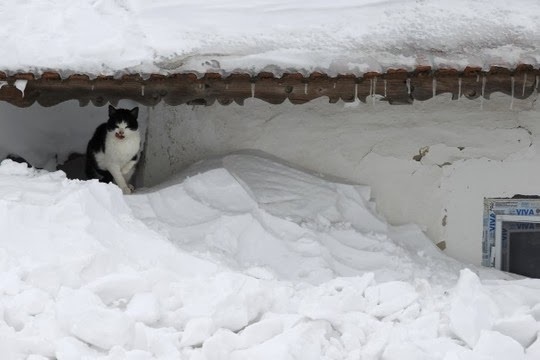 Traveling cat spotted in the snow in Glodeanu-Silistea, Romania. I hope that kitty has some place warm to sleep! Bbbrrr that looks cold. Have a super Saturday. That's a lot of snow. Hope the cat has a warm place to call home. Cute Kitty, just found a shelter.